A week ago, my sister and I got a surprise when a package arrived via mail. It was slightly bigger compared to a long brown envelope and we didn't know where it came from until we opened it. Contents of the surprise package. My Three Little Pigs nail art was included in the picture! 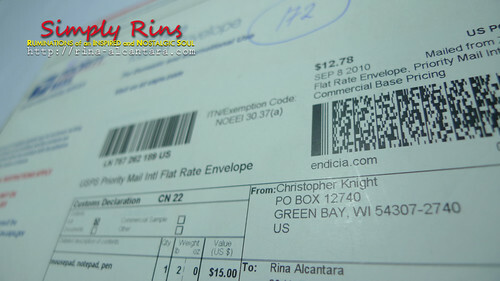 Anyway, the mail came from Ezine Articles! How cool is that? My sister and I recently became platinum members and they sent us goodies! 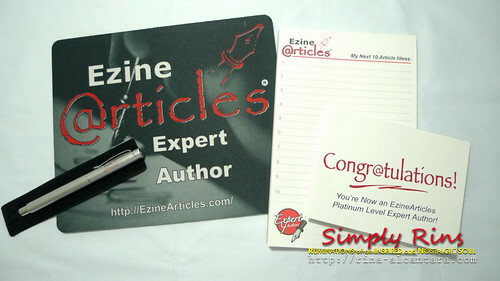 Ezine Articles sent us a mouse pad, a notepad, a pen, and a congratulations card. One becomes a platinum member after 10 approved articles. If you're interested, do check my articles at Rina Alcantara's Ezine Articles. Most of them came here, my personal blog.